I put the following here since its important to read. Not because I believe, endorse or want this future. Quite the reverse. This is the sort of world the Vox Days and Sarah Hoyts of the world want. I do not want this world. But I give you a glimpse of it from someone who does. The Great Emperor of Annur has been assassinated. His three children, including his heir, Kaden are scattered across the continent. Caught out of position, even the news of the death of the Emperor takes time to reach Kaden and Valyn, as isolated as they are. Adare, the Emperor’s daughter and a minister in her own right, is left shakily at the center of things. Who really killed the Emperor? And for what purpose? And can the martial skills being learned by Valyn, the ministerial skills of Adare and the meditative training of the heir, Kaden, be put to use to solve the mystery? Or just even to survive? 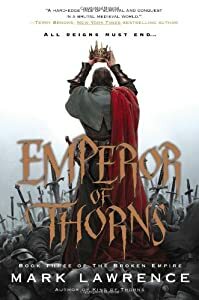 The Emperor’s Blades is a debut Epic Fantasy from Brian Staveley. 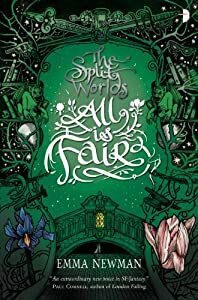 The book has many of the virtues of what I call neo-Epic Fantasy–a large scale setting, but relatively few point of view characters. Instead of the more than dozen viewpoint characters one might find in Martin, or Erikson, the book restricts itself almost exclusively to the principals. We don’t get a look into the minds of the antagonists, as determining who and what they are is part of the fabric of the book. This gives us deep understanding of the brothers Valyn and Kaden, as they are even unaware at first that there has been an assassination, and (especially Valyn) can do little about it anyway once they do find out. The major weakness, or the missed opportunity, even, though, is with Adare. Staveley clearly knows what he wants to do with Valyn and Kaden. The book spends a large pagecount on their day to day life and training. A constellation of secondary characters grow up around each of them, especially Valyn. The Kettral society and the society of monks devoted to the Blank God are rich places, settings and character webs. By contrast, Adare gets extremely little to work with, especially in terms of pagecount. While her plotline is important (as she is directly working on the assassination problem), it gets short shrift by comparison. Although likely unintended, the text feels like it tackles her story with extreme reluctance. Also, while the secondary female characters around Valyn come off well, the writing of Adare feels very much like the author is unsure of himself and what he wants to do with her. Also, the cultural bias against female leadership seems ill at ease with the facts on the ground as far as women in the Kettral. The text seems more content to spend pages and pages on Kaden being buried alive as part of his training than to have Adare come across as anything other than a plot device. The writing is entertaining, the action pieces well done, and Valyn and Kaden, and those around them, come across very well. There are some neat worldbuilding ideas here, and clear set ups for future volumes. The mishandling, in my eyes, of Adare keeps what might have been an excellent debut epic fantasy into only a pretty good one. My favorite books that I read in the calendar year 2013. 2013 was a relatively productive year. Although I don’t reach the reading speed of, say, Sarah Chorn, I managed to read 70 books, plus a small slate of audiobooks, and some novellas. I still do miss riding the bus to work and really having a decent book count. Once again, statistics don’t lie (Thank you, Jamie Todd Rubin), and despite my self-perception to the contrary, I appear to read Fantasy at a 2:1 ratio over Science Fiction these days. I would have thought it was much closer to parity. NB: I disqualified books that won in one category from winning in another. Favorite Book You (Probably) Haven’t Read Yet. You are (with some notable exceptions) are exceedingly unlikely to have read this already, since I got a look at it even before ARCs officially went out. 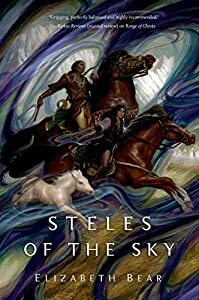 Bear sticks the landing on her Eternal Sky Trilogy. I am more than satisfied with the resolution. I’d bet money you are going to agree with me. I was absolutely charmed by both author and the novels. A Changeling the Dreaming RPG player who creates a intricate web of Fae, Fae touched, sorcerers, Elemental Courts all behind the scenes of our modern world? Yes, please. 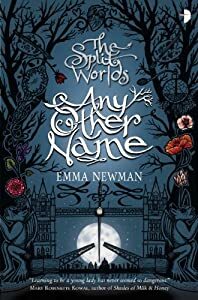 The writing holds up to the promise of the premise, and although there is clearly more to the stories of the characters, a complete story is told in three volumes. 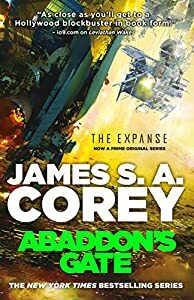 James S.A. Corey, in the personages of Daniel Abraham (who I read a f*ckton of) and Ty Franck, write what looks like retro-future SF with modern sensibilities. That is in full flower in this third novel, with strong female characters front and center, a big dumb object, a chase across spaceships and much, much more. The news that there is going to be several more novels in this universe makes me squee. 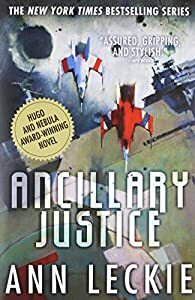 Ann Leckie has written a number of stories, good stories, but with her first novel, Ancillary Justice, Leckie has upped and amped up her game. Space Opera with a touch of Delany and Banks, rich detailed writing that puts you there, and does interesting sociological things. While I’ve been agonizing on what else to include, Ancillary Justice is certain to go on my Hugo ballot. This was tough. 2013 wasn’t the year I read fourteen debut novels, but I did read some very good ones. 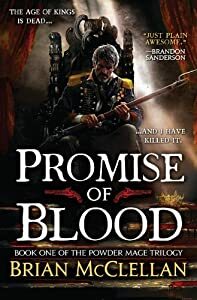 My heart finally went for this flintlock fantasy at my utter disappointment at the news that the sequel’s publication is being moved from February to July 2014. 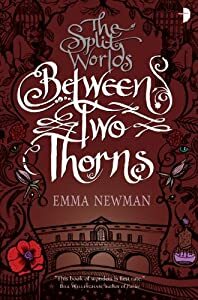 None of the other debut fantasy novels’ sequels I read being pushed back like that would cause quite the same reaction (although some might come close). 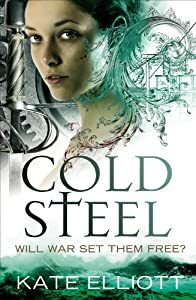 In the end I couldn’t choose between Kate Elliott’s fine Spiritwalker capstone with COLD STEEL and Mark Lawrence’s EMPEROR OF THORNS. Kate is an accomplished writer who sticks the landing. Lawrence is a newcomer who has made a splash quickly and rightly so. An anthology of original fiction focusing on women characters? Yes, please. 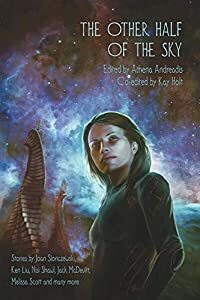 There are some excellent stories, here, even beyond the usual suspects (including Aliette de Bodard, Jack McDevitt, and Joan Slonczewski). It delivers on its theme and the stories are entertaining. Can’t ask for more! I have to decline to answer this category, since I have given the exclusive rights to this answer, fittingly in an audio clip, to SFF Audio. Stay tuned! I read some non fiction this year as a way to recharge, refresh and educate myself. 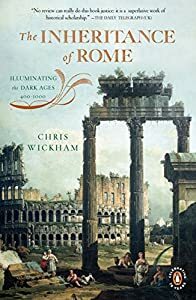 This thick work on the post-Roman Empire period in Western Europe taught me a lot and I recommend it to everyone remotely interested in the subject. And that was my 2013. On to 2014! Its stunningly unfaithful to the book. He stuffs as much of Middle Earth Arcana into the story as he can. I suppose Jackson realizes he is never going to get to film a story about Beren and Luthien, or Turin Turambar, and so incorporating as much of the myth of the LOTR universe as he can, even if it fills “The Hobbit” to bursting, is his way of getting the next best thing. The movie feels a lot less schizophrenic in tone than Unexpected Journey, though.